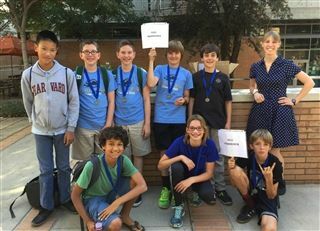 Two different middle school robotics teams, the Prototypes and GearSwitch competed on November 5 against ten other regional teams in the First Lego League. Students built and programmed their robots to complete tasks such as gently pushing a box or picking up and placing items elsewhere. The students in Prototypes placed high enough to move on to the championships December 3 at LEGOLAND California.